Well, we are at it again. Last January, I posted briefly about what turned into a short-lived experiment in Alternative Medicine. Ever since my grand failure (ending in a satisfying buffalo chicken salad from the now tragically boarded up salad place at the mall .... um ... yeah ... don't think about that one too much) after only two and a half days, I have wanted to give the Master Cleanser another go. I have heard so many testimonies about how it has totally re-vamped countless people's health and general well being that despite the obvious difficulties involved, it seemed like something I should do. Needed to do, in fact, since my tendency to hunker down with a American Size serving of Mac n' Cheese, or a With Whip Mocha wasn't doing my body (or wallet) any favors. There didn't seem to be a good time before the Big Day, but now that that's done and the weather is decidedly warmer, I realized the time ha dcome to give it another go. Or rather, I was getting desperate to start. Peter noticed that I seemed to be 'on a mission' about this one. I refused to wait for him (terrible! and we are newlyweds, to boot) and started by myself on Monday. I think it had something to do with the dread. Last time, my experience was pretty awful. I had cravings like I'd never experienced before, to the point of dreaming tasteable buffalo-chicken! Also, the most unpalatabale part of the whole affair, the morning intestinal flush, was particularly unpleasant. And the cold, the real excuse for the quit, really did get to me. But mostly, I love food, and I have known for years that it is a major crutch for me. As in : Hello. My Name Is Mary, and I Am A Foodaholic. When papers and exams pile up, I head to the kitchen and bust out some butter-filled yummyness with extra cheese. If I have a fight with someone I love, I head to the drive-through and mow down on a bagfull of saturated fat. If I'm having an energy dip, it's off to destroy the world one Starbucks Grande at a time. Feta Artichoke Dip - I'm not even going to go there. See, I love food, and I'm happy for that. But I also abuse food, and that needs to stop. I also don't do well with anticipation. Before major hiking trips, where I know I'm going to give my lungs and thighs a good whipping, I can't sleep, I get grumpy, aches and pains develop into excuses. But once the pack is strapped on and we're headed up the mountain, burn there may be, but I'm happy to be in the woods - and getting the elevation change behind us. So you see, I had to start. The anticipation was killing me. But not any more. Peter joined me Wednesday. We are OFF! I have to say, the going this time around has been rather astounding. The first day was brutal, I'll grant, but I was also on Day 3 of quitting caffeine (again *sigh*) and that landing is never gentle. I'm not going to chronicle the experience in detail here - I am looking into starting a separate blog for that. I have a feeling the gory details (can you say Intestinal Flush? All together now!!) may be too much for some gentle readers. Or at least, if they are posted somewhere else, you can't say I didn't warn you. The point of this post? Today is Day 5, and I'm shooting for 10. I avoided posting at the start of this (as I did last time) for fear the hubris would trip me up again. But I'm more confidant now, because at half way there I'm feeling great - lots of energy, no hunger. And I haven't craved a mocha or a bowl of Mac in three days. Perhaps a record? Time will tell. I'll keep you posted as the countdown continues. I realized last week that I have been a blogger for a year. With some hesitation, I looked back at how many times I've actually posted over the course of that year and was relieved to find that it came out to an average of about twice a month. Not too bad, for a professional procrastinator who didn't have regular access to the internet for several months of that year while living out of a car, other people's homes or sleeping under the stars. (Sometimes I wish I was still sleeping in the desert. But that is beside the point.) The point is that I went back and read some of my early posts and started thinking about what this endeavor was about in the first place. I started this blog as a public notebook of my attempt to find direction, and walk out my little journey tangled among the six billion others being mapped across our world. The 'public' part I entered intentionally albeit with some trepidation. I am not a particularly public person, but I am a writer, which makes for some interesting ambivalence in a soul. 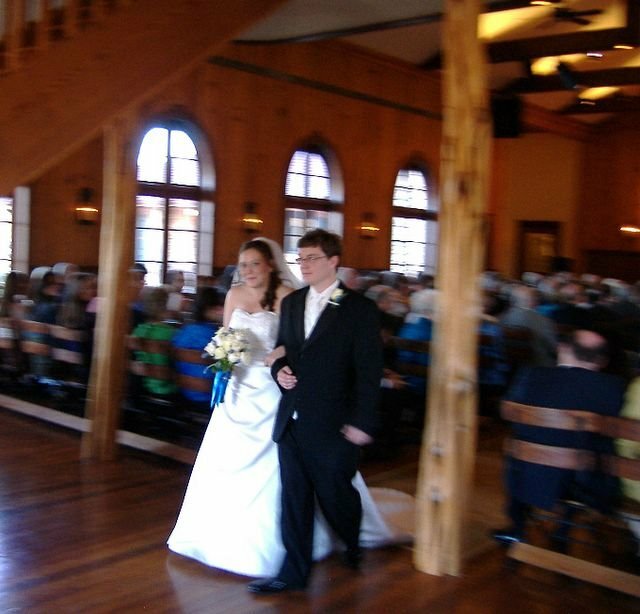 Mostly, in looking back at where I started this from, I realized that with all the hullabaloo of moving, of the wedding, of starting graduate school, I lost track of the point of these meandering posts - and of the Drift that inspired them. I have been trying for over three years now to find out what I am running towards, so that I can stop simply running away. Trying to set my path through these mountains. Or find a place in them to build a home. But in the last six months or so, there hasn't been much time for the sort of thoughts I'd wanted to peruse here. I think Maslow might have something to say about why. Peter and I finally got to our Netflix this weekend. Friday night, we ordered pizza, busted out a bottle of wine and settled back to an utterly delightful Journey To The Center of the Earth (1959 with Pat Boone & James Mason.) We had finally unpacked enough to get to the TV, and even if we haven't cooked yet, Pizza from the little joint on the corner (and Peter's incredible atomic garlic-tahini) was a good start. I am sitting down at a computer without the threat of waking nephews hanging over my writing time. In general, I think it is about time to get back to the point. There are a few early wedding pictures posted in the darkroom. Wow. I have sat down to post something twice since we got back from our crazy two weeks of getting-married, having-a-(too-short)-honeymoon, driving-back-to-PA. I kept erasing what I was writing, I think because there is so much to say. How do I choose what from the last three weeks of intensity to write on? Although I almost feel like I need to pick something light and funny to give myself a break from all the madness. I am MARRIED. What does that even mean? I'm starting to wonder. I am so happy for it. And so exausted, still, that I hardly have the capacity to think on it for more than the few seconds it takes to glance down and remember I have *two* rings on now. I woke up with him at 5am to finish some papers and make up work for various classes, and just e-mailed the last two (for today) in. The babies have not woken from their morning nap yet. I am holding my breath. I was hoping we could get back, unwrap presents, settle into our apartment. I imagined we'd have time to start watching movies at night, again (we've had the same three from Netflix since February.) I imagined we'd start cooking (correction: Peter would start cooking) like we(he) did before the "W" word (no, not bush) took over our lives. No such luck. The movies are still unwatched - we can't get to the TV for the unpacking still piled in the livingroom. And we've been subsisting primarily on Easy-Cheese and ButterMints from a thoughtful basket my aunt gave us for our honeymoon. But I make it sound so awful. It is not. I love Peter. I love being married to him, I love our life, as un-ideal as it seems when looked at from the wrong angle. My graduate classes are fascinating, the toddler-tornado is delightful, we spent last Sunday hiking up to FlatRock and it was perfect and beautiful Nyssa has been in a coma (thankfully) for two days from the effort. Our apartment is cheap, with a view of the mountain and the ancient Susquehanna River. 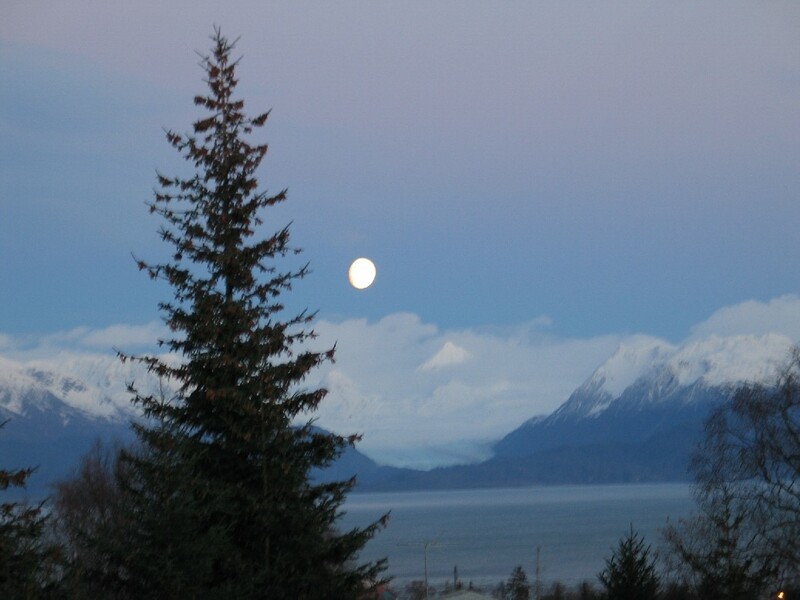 Alaska is less than three months away, now.